Would you make a good medical secretary? Take our career test to find out how you match with this and over 800 other careers. What is the workplace of a Medical Secretary like? On a typical day, healthcare facilities are busy attending to the many patients who seek their services. Medical secretaries receive patients, assist them with filling out forms, maintain and retrieve medical files, and transcribe and type medical reports. Generally, they organize the huge amounts of data that the office generates every day. A medical secretary is usually the first person that a patient interacts with when they arrive or call the office, and they form an important link between the patient and the physician. Often, the size of the facility determines the structure of hierarchy and the specific duties assigned to the secretary. 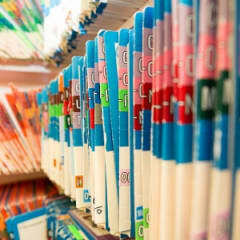 In a smaller private clinic for example, the medical secretary may report directly to the physician. Larger establishments on the other hand, may have a structure in which the secretary reports to the department's head and may perform specific functions. A medical secretary should have good knowledge of computer applications, spreadsheets, and medical software. This knowledge enables them to perform duties like updating patient information, scheduling appointments, managing the facility's database and medical records, managing the physician's schedule, and processing payments and insurance claims for the patient. They should also have good verbal and written communication skills in order for them to be able to write and prepare reports, talk with patients (both in person and by telephone), and transcribe and type medical reports. To perform their duties effectively, medical secretaries should have excellent administrative and organizational skills, people skills and the ability to handle patients and other members of the public skillfully. A high level of discretion to maintain confidentiality of sensitive information is a desirable attribute along with the ability to work with minimal supervision, handle pressure and meet deadlines. Are you suited to be a medical secretary? Medical secretaries have distinct personalities. They tend to be conventional individuals, which means they’re conscientious and conservative. They are logical, efficient, orderly, and organized. Some of them are also social, meaning they’re kind, generous, cooperative, patient, caring, helpful, empathetic, tactful, and friendly. Does this sound like you? Take our free career test to find out if becoming a medical secretary is right for you. Institutions like learning institutions, hospitals, private clinics, research institutions, pharmaceutical companies, laboratories, health insurance companies, and non-governmental agencies need medical secretaries to perform clerical and administrative support duties. A medical secretary's job is mainly office oriented. Medical secretaries often spend a good part of their workday in the front office area where there is a lot of interaction with patients and other members of the public. Work hours are mostly the standard nine to five excluding weekends, and one may opt for a part-time job. Depending on the patient and work traffic, medical secretaries sometimes work under much pressure because of their many responsibilities and tight deadlines.